Very soon Spintires: MudRunner will be introduced! The Steam Workshop will be available right after the game will be represented. 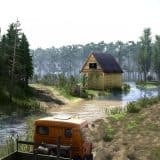 You can find all information about the game options and the guide about Modding in Spintires: MudRunner as well as instructions on how to deal with mod editor below. All you need to do is simply click on the following link: How To Create Spintires: MudRunner Mods. With editor you can make new and add existing vehicle mods. It enables you to transform vehicles and maps mods of Spintire into MudRunner mods. Meshes and vehicles can be reviewed. You are even able to make and amend maps, although keep in mind that are not available to be added to the game so far. A player can be using maps which were modded exactly how it is in Spintires. However, we are planning to improve tools and the implementation of maps right after post-launch. “Spintires: Mudrunner – Editor Beta” is the AppID tool name, which can be accessed on Steam library > Tools. With editor a player gets a chance to manage functions such as viewing, editing, converting and uploading chosen mods using Steam workshop. In the workshop you can check and see all mods. By clicking on Subscribe you can download the mod. Button of managing mods appears when set up solo or multiplayer game. This is where you can spot existing mods and start the game. In case that you won’t have a particular mod in joint party, you will have a notice to add it to your game. 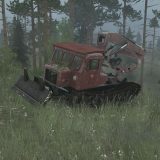 For more information about Mod Creation in Spintires: MudRunner take a look at our Official Forum. It is highly important that you don’t forget to do a back-up of your mods. Moreover, it should be kept in a different Steam folder. Keep in mind the existing mods problems, which we are going to solve after release update. There is a chance that a game can crash at the beginning because of some mods. Whether you update the mod while the game runs, it won’t functionate well. While playing in multiplayer mode, add-ons of not installed mods can be implemented which can cause a crash of the game.